Dikshitar’s songs bring in a mood of meditative devotion of sublime nature which transcends words and feelings. 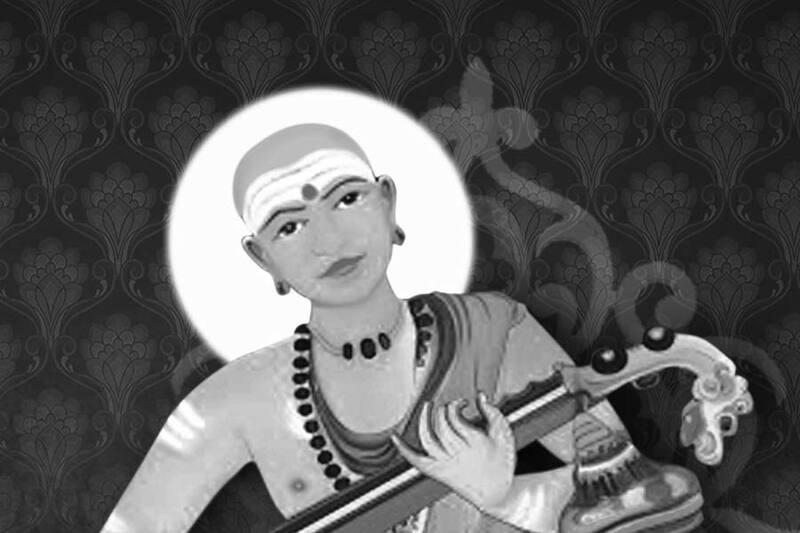 Dikshitar was probably the most complete classical composer and one of the most versatile men world has ever seen. He was a man who had early and purposeful exposure to Carnatic, Western, Persian, Arabic and Hindustani styles of music. Dikshitar had proficiency in different languages like Sanskrit, Tamil, Telugu, Hindi, English and different branches of academics such as History, Mythology and Science, not to mention proficiency in numerous musical instruments. Further, he was a man, widely traveled and thus had plenty of oppurtunities to visit shrines and other places of interest which no doubt widened his perspective considerably. The most fascinating aspect of Dikshitar’s songs is the grandeur and majesty of his music, the intellectually appealing lyrics and the overall sophisticated approach. His Akshayalinga Vibho, Dakshinamurthe, Balagopala, Manasaguruguha, Ehi Annapoorne, Ranganayakam, Amba Neelayatakshi, Chetashree and each one of the Navavarnams, – the list is a lot longer – can be placed alongside the masterpieces of any other great composer from any part of the world. Many people refer to his few “English note” – type of songs (with Sanskrit words) when they wish to speak about the influence of Western music on his works. For example, “GOD SAVE THE KING” was graced with the Sanskrit words “SANTATAM PAHI MAM, SANGITA SHYAMALE”. But the influence can be perceived at a more subtle level all through his other works i.e – in the way the movements of the songs proceed. Similarly, the influence of Hindustani music on him was not confined merely to a few compositions in DWIJAVANTI, RAMKALI, YAMANKALYANI, HAMIRKALYANI, etc., but was spread over many other Carnatic style compositions by way of the Gamakas like meend(slide) that he employed. In fact, his CHETASHREE in DWIJAVANTI has been adapted to Carnatic style so well that it would have one doubting if it is a hindustani raga. This clearly shows that he was not a mere imitator. He took in the best aspects of other culture and made them his own, enriching Carnatic music in the process. The command he had over Sanskrit and the organized way in which he controlled his own mastery is remarkable. He indulged in word play in Kritis like, THYAGARAJA YOGA VAIBHAVAM(Ananda Bhairavi) SRIVARALAKSHMI(Sri) and MAYE TWAM YAHI(Sudha Tarangini). He also used a lot of SWARAKSHARAMS i.e., matching the words with syllables of the notes. For eg. Sadasrita(AKSHAYALINGA) would be tuned as SA DA PA MA and Pashankushsa Dharam(SIDDHI VINAYAKAM) is tuned as PA SA GA RI NI SA. He perhaps set the trend of incorporating the name of the raga in the song whenever he could. In ragas like Mohanam or Vasanta this is comparatively easy enough but Dikshitar made this an art in itself. He would not merely say “Mukhari raga Nuthe” or Arabhi Ragapriye(fond of Arabhi). He would instead combine two words meaningfully in an ingenious way so that a part of this combination gives the name of the Raga. Eg., (Veena + bheri) in Abheri, ( Chidbimbou + lilavigrahou) in Bouli, Panchamukha + arishadvarga-rahita in Pahiman Ratnachalanayaka(Mukhari). He was equally accomplished when it came to Rhythm. He composed in many talas and employed different speeds within the song. He was probably the first composer to have composed in the SAPTA TALAS(Dhruva, Matya, Rupaka, etc.) which he used for the Vara-Stutis i.e. the song of the day. The first song “SURYA MURTHE” for Sunday is in Chatusra Dhruvam and the last one “DIVAKARA TANUJAM” for Saturday is in Chatushra Ekam. 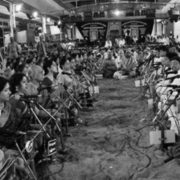 His overall meticulousness is reflected in the accurate descriptions of different temples, rituals, or cities and his song-groups like Navavarnams, Panchalinga Kritis bear testimony to an orderly approach of a high degree. All these should not, however make us blind to the emotive side of this great man. Dikshitar – the devotee was in no way inferior to Dikshitar – the intellectual scholar. True, the emotive appeal in his compositions is subdued and undemonstrative because of the general sophistication but deep down there is a soulful repose suggestive of transcendental joy and peace. At times, the emotive side surfaces more tangibly in phrases like “Heena Maanava ashrayam tyajami” – ( I will not have anything to do with inferior people) in Hiranmayeem Lakshmeem(Lalitha).